Being Your Own Boss vs Being A Good Employee. Which One's For You? Being Your Own Boss vs Being The Best Employee. Which One’s For You? As millennials, we are faced with a lot of options. A hell of a lot more than our parents (the baby boomers) and our grandparents. The world has opened up in numerous ways for us and we are the generation that has been creating our own opportunities and changing the game. There are so many amazing examples of young women changing their industries and becoming the inspiration for many others who want to follow in their wake. 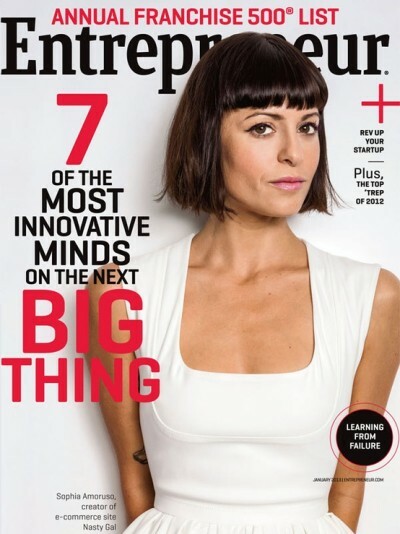 Sophia Amoruso, the founder of online fashion ecommerce site Nastygal is one of those game-changers. She recently released her book called #GIRLBOSS where she talks about the early days of her business. The 30 year old’s empire started in 2008 as a simple ebay store. Nastygal was created from the ground up, from a woman who saw an opportunity and a means to finally make her mark on the world. Her company now makes over $1oo million in sales each year, and hers has been a model that many want to copy. Not bad for a former dumpster-diving teenager from the Bay area. But being your own boss and being a huge success like Sophia isn’t necessarily everyone’s path in life. For her it was the only way that allowed her to find her “fit” in the world and actually create a future for herself. She spoke to the Huffington Post about her unique journey and why nothing else worked for her. “The world tells you: go to high school, get good grades. Go to college, get good grades. Start your first job and then you’ll get a better job. And that works for many, many people — but none of it worked for me. I tried, but I couldn’t find the reward in it, and I think there’s a lot of people who have varying degrees of that frustration, asking ‘where do I fit in?’ and ‘what do I want to do with my life?’ ” she says. There are many that can relate to this advice and will use it as fuel for their own journey. But there are others, as Sophia mentioned, who choose to take more traditional paths. Everyone has a different view on what they want their life to look like, and for some it is about being the best employee they can possibly be, rather than being your own boss. We need both types of people, because hey, every CEO needs some good employees, right? 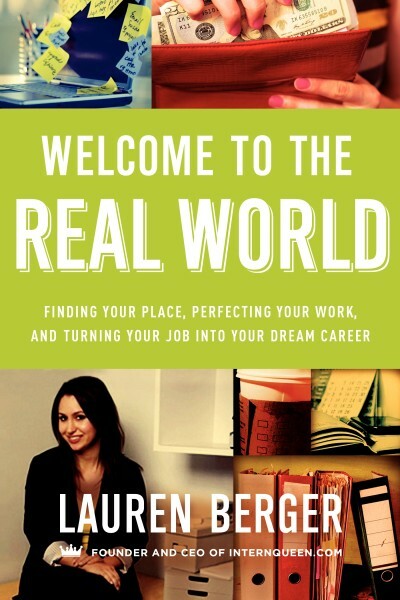 We got the chance to chat exclusively with the Intern Queen, Lauren Berger, whose second book ‘Welcome to the Real World‘ is a collection of some pretty awesome advice we all wish we had starting out our careers! Lauren has made a name for herself as a young woman teaching other young women how to be the best employee in the job market. Sure, she runs her own business empire and works with many big name companies and brands helping match them with the best interns. But she didn’t get to where she is today without learning to be the best employee possible. 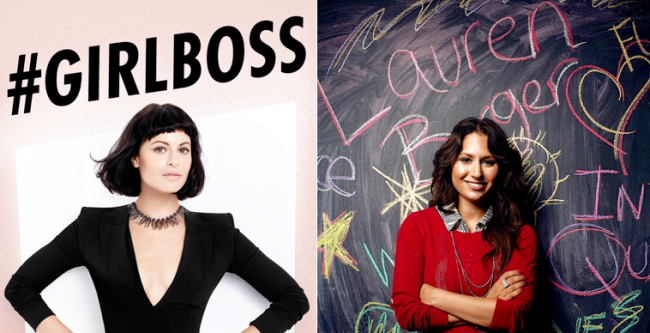 Hers is the opposite path of Sophia Amoruso’s, but both serve as great examples as to how women can succeed in their careers. 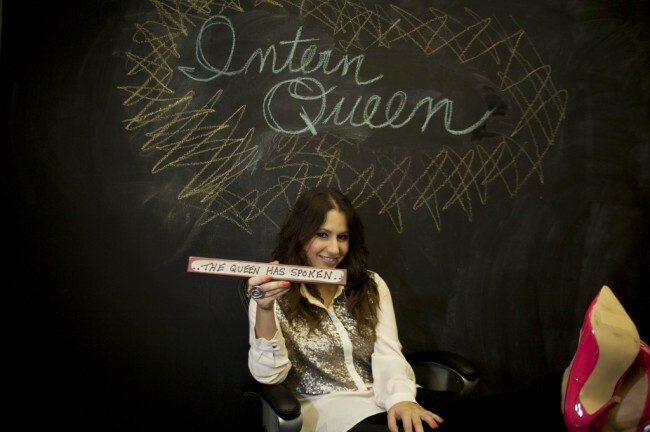 Lauren famously writes about the 15 interns she completed while she was in college, earning her the nickname ‘Intern Queen’ by her friends. She believes it is invaluable to know how to be the best employee at wherever you are, because there are so many lessons you can learn which will help you in the future. Most of the wisdom she imparts is from her own experience, most notably she talks about working at one of the entertainment industries biggest talent agencies and how the connections she made there as an assistant helped carve out the successful career she has today. “My new book, Welcome to the Real World, is all about how to be successful at that first, second, or third job. Throughout the book, I discuss how to survive that first job both personally and professionally,” she says. Here are Lauren Berger’s 5 ways to surviving your first job, and learning how to thrive in your career. 1. Don’t be above apologizing. Did you mess-up? Did you send the wrong email in the wrong tone? Don’t be afraid to apologize. Say you’re sorry, be sincere about it, and move on. There is too much work to be done to harp on one mistake. 2. Be open to criticism. No one is perfect in their first job. Whenever you have evaluations with your boss, ask for feedback. In fact, ask for feedback as frequently as possible. When people give you constructive criticism, push your pride out of the way and make sure you take note of what they are saying. 3. Don’t make the same mistakes. If you get in trouble for doing something wrong – fix it in the future. The best way to show your boss that you are ready to learn and listening to their feedback is by not making the same mistake twice. You can make different mistakes but don’t repeat the same ones. 4. Ask Questions. Never Assume. When your boss gives you an assignment, make sure you fully understand everything they are saying. Don’t be afraid to ask questions, never assume how someone wants something done. 5. Take Notes. We all think we can remember everything – we can’t. You aren’t a superhero. Anytime your boss gives you an assignment, take notes and write everything down. So whatever path you choose to take, the advice is to learn how to be your best. Find women who can mentor you, read from the experts or women who have been there before, such as Lauren and Sophia. This is the new school, learning from life experience. There are so many valuable ways we can equip ourselves as entrepreneurs and employees. “To look back and say, ‘What do we want?’, ‘What results do we actually want from this?’ and ‘Did we do what we planned to do?’ that’s one version of success,” says Sophia. The question is, what kind of success are you working towards?